Marine Fasteners: Plastic Fasteners or Stainless Steel? Ready to give plastic a try? Don’t buy those plastic marine fasteners just yet! There are a few reasons why plenty of marine applications still require metal fasteners. It’s true that plastic fasteners can be surprisingly strong. This is especially the case if you choose a fastener that’s combined with other materials. 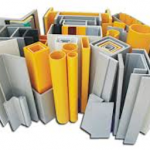 For example, some plastic marine fasteners are strengthened by a metal core or glass (read about: Fiber Reinforced Plastic Versus Traditional Materials). Choosing a plastic fastener with a metal core may be better than choosing a completely plastic marine fastener, but few materials beat the strength of a stainless steel fastener. If the strength of your final installation is what’s most important, you’ll likely want to look into stainless steel marine fasteners. It’s a common misconception that stainless steel is corrosion proof. It isn’t. It is corrosion resistant. Understanding the difference is extremely important. 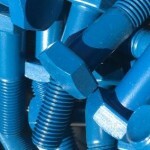 Plastic marine fasteners are corrosion proof. That means they will never rust or degrade in a marine environment. Metal is notorious for corroding, especially in marine environments. The salt content in the water can quickly and easily eat away at the metal, ultimately compromising the strength of your entire structure. Stainless steel is a metal, so it is still susceptible to corrosion, but it is not nearly as susceptible as other metals. Stainless steel is corrosion resistant. It is coated with a special layer of chromium oxide that can greatly decrease the rate of corrosion, which means stainless steel fasteners will last longer than other metals under water. If you want to slow down the process of corrosion even further, rinsing any stainless steel marine fasteners with fresh water on a regular basis can wash away harmful salt water buildup that can hasten the corrosive process. If a plastic fastener just isn’t a possibility, stainless steel fasteners are your best bet when working in a marine environment. It’s true that marine fasteners can be fairly easy to install, but depending on the construction of the fastener, special tools or techniques may be needed to install the fastener. 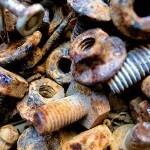 Metal and stainless steel fasteners have been around for a long time. That means most people have had practice installing them. 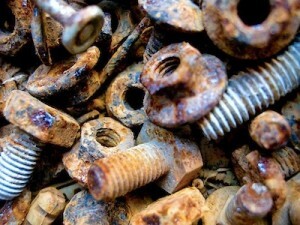 It is much more difficult to strip a stainless steel screw or bolt too, which can help reduce waste. However, it is important to note that there are some challenges associated with stainless steel. 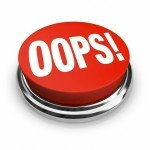 Galling is the biggest potential problem. 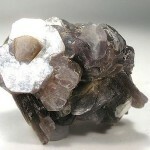 Also known as “cold welding” galling occurs when the bolt threads seize to the threads of a nut or hole. In most cases, the bolt must be cut in order to remove it. However, there are a number of ways you can keep this from happening, which means stainless steel is still a good option with the right approach. Metal fasteners have another benefit over plastic—they can be welded. Stainless steel fasteners can be welded to a number of different surfaces. They can even be welded in such a way that the fasteners are barely noticeable. You can’t do that with plastic marine fasteners. Whether you choose plastic or stainless steel marine fasteners, it’s important that you choose the right one for the job. When it comes to stainless steel, not only do you have to consider the size or type of fastener, you also have to consider the grade of stainless steel. Because corrosion is such an important consideration, 316 stainless steel is often the best choice. However, other grades of stainless steel may be recommended depending on what kind of marine environment you’ll be working in. Having trouble settling on marine fasteners that are a good fit for your next project? 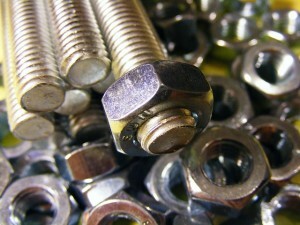 Contact E&T Fasteners. We’re fastener experts, which means we can provide you with both plastic and metal marine fastener recommendations. 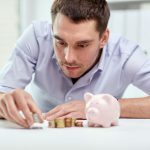 Can Plastic Fasteners Save Your Business Money? This entry was posted in General, Plastic Fastener Materials on July 31, 2017 by Fastener Components.